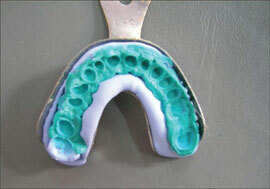 Polyvinylsiloxane (PVS) Impression material is the old way of taking impressions. A highly viscous material is placed on a tray then inserted into the patients mouth. 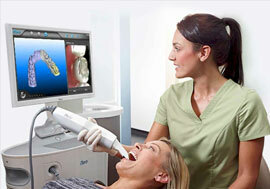 Many patients experience gagging using this method.